Philip was vain, bigoted, and ambitious. In his administration of public affairs he seemed to have but two objects in view, to augment Spanish power, and to cause his own religious creed to be universally accepted. To promote these objects he had no scruples in regard to means. His own people were tortured and executed by the thousand. By this savage policy he stamped out heresy, placed freedom of thought under a ban, and put an end to the intellectual progress of the country. In his dealings with other nations his diplomacy included all the arts of chicanery and deceit. Two formidable obstacles stood in the way of the realization of his plans. Heretical England had become a strong naval power, and English ships captured his treasure-vessels laden with the spoils of the countries lie had plundered. The eagles of the sea despoiled the wolves of the main of their ill-got gains. The second trouble was nearer home. The people of the Low Countries revolted alike from his government and his creed. To remove these obstacles was the first step toward the attainment of his larger ambitions. In regard to England, Philip ventured upon a master-stroke of policy. He sought the hand of Mary, the newly crowned Queen of England, and married her. By this step lie hoped and expected to extinguish dissent in England as he had done in his own dominions, to gradually usurp the government, and to make English naval supremacy subserve the interests of Spain. But Philip was sorely disappointed. Mary, though narrow and bigoted, and at one with hire in creed, had still English blood in her; and English independence had been sturdily maintained through too many centuries to be surrendered to any power or on any pretext. The English Parliament also interfered and refused to crown him jointly with Mary. So Philip found himself united to a sickly, peevish wife of twice his age, and entirely powerless to effect the purposes he had in view. Three or four years passed in fruitless intrigue. 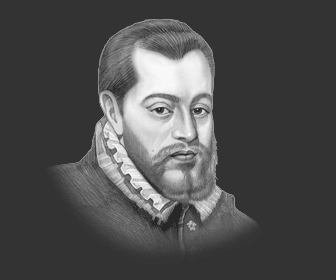 Punishments for heresy were frequent, but the fires of persecution never blazed so fiercely in the cooler atmosphere of England as in Spain, and the victims of the stake could be counted singly instead of by the thousand. Then Mary died, and Elizabeth ascended the throne of England. The new queen declined the honor of Philip's hand which was tendered her, and she zealously espoused the cause of the English church. The hunted turned hunters, and the last fires of English persecution were lit by those whom the stake had threatened all through the dreary years of Mary's reign. This change of front and the gradual amelioration of penalties which followed show that persecutions are not the monopoly of any sect, but are rather the manifestations of an irresponsible power in a semi-barbarous age. Philip retired angry and disgusted. The contemptuous refusal of his hand by Elizabeth was a terrible shock to his personal pride; the triumph of the new church inflamed his bigotry; and the sturdy independence of the English people was a severe blow to his pride of country. He brooded over the situation and determined to resent the slights--personal and public--which had been put upon him. From his purpose he was for a time diverted by the attitude of his rebellious subjects in Belgium. Maddened to ferocity by the failure of his plans, he devoted the whole people to destruction, and he sent his best-equipped armies, under the terrible Duke of Alva, to devastate the cities of the dikes as Pizarro had destroyed the homes of the Incas. After innumerable atrocities, and the wholesale slaughter of men, women, and children, the remnant of freedom was preserved by the obstinacy of the Dutch burghers, the wise policy of William the Silent, the aid of the sea, and the succor furnished by Elizabeth. Here, again, was practical defeat. His cherished purposes were thwarted, and the high hope of his life was gone. Nothing was left but despair and revenge. At this time Philip began to exhibit in a marked degree the madness which overshadowed the last years of his life. His hatred of England grew from day to day, and at last took shape in a determination to make one supreme effort to conquer his rival, and to check the rising free thought of the English people. For years the preparations went, on for the great conflict, and in 1588, twenty years after the accession of Elizabeth to the throne, everything was ready.